We are happy to have served in Edmonton for 15 years! Voted Best Spa since 2016. We are proud to continually provide more spa services and the best in skin care products. We also have a client lounge and steam room for your enjoyment before or after your treatment! Want to come in with a group for a corporate gathering, bridal shower, baby shower, birthday party, or simply with friends to enjoy some time together getting pampered? We would love to welcome you! We are extremely proud of our commitment to provide experienced staff, high quality products, competitive pricing and excellent customer service. Meet our professional team below. 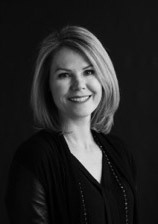 Anita has over 20 years experience in esthetics, laser and electrolysis, with a passion for skincare. As the founder of Urban Retreat, her focus is on making clients happy and building a skilled and friendly team. In her spare time she loves spending time with her two children, family and friends, and enjoys listening to music and staying active. Anita is not currently taking new clients. Lorie graduated from the Cosmetology Schools of Canada in 1988 and she loves her career choice! She currently specializes in skin care treatments as she has a keen interest in this field. Lorie enjoys learning and attending seminars and she is passionate about her clients' concerns and the health of their skin. 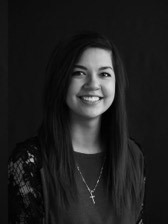 Sarah has over 7 years esthetics experience and is a long time member of the Urban team. She specializes in laser hair removal, laser skin rejuvenation and all esthetic treatments. Her favourite services to provide are Gelish manicures, laser services and treating acne conditions. 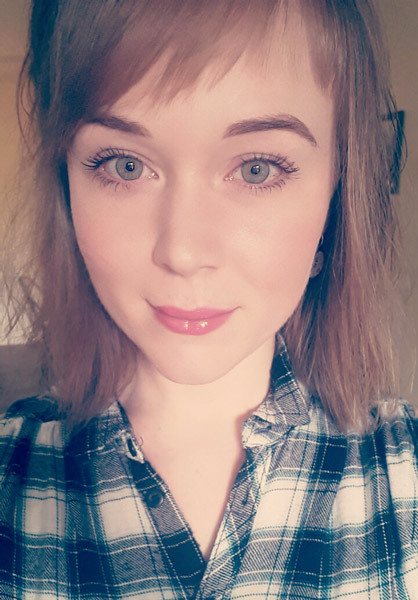 Sarah is originally from St John’s, Newfoundland and she loves music, movies, all thing crafty and her cute little cat Max. Jocelyn attended the European Institute of Esthetics where she completed her esthetics training and Cidesco certification. Jocelyn loves the field of esthetics because she believes pampering clients helps them feel good about themselves. 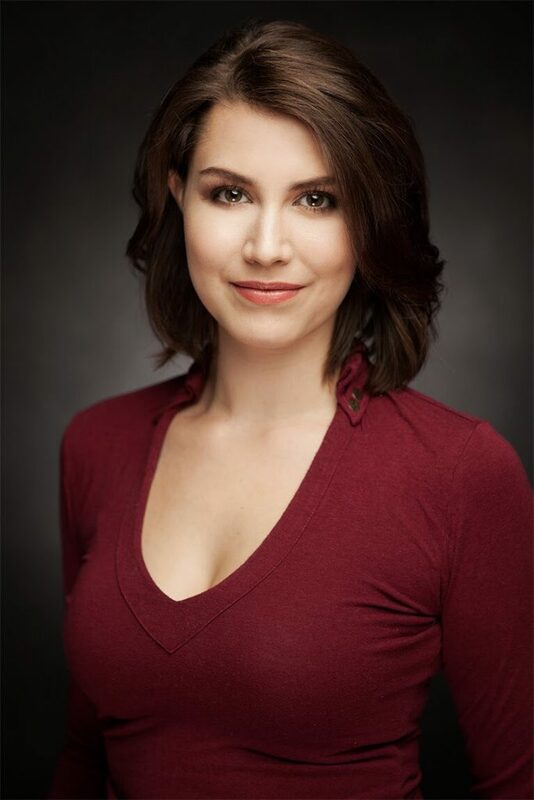 In her spare time, Jocelyn enjoys yoga classes, taking wellness courses, watching sports, relaxing at her family’s cabin and eating home cooked meals. Pamela hails from the green Isle of Ireland. She has over 10 years experience in all aspects of esthetics, specializing in skincare & brow shaping. An Official HD Brow Stylist (advanced brow shaping), she believes brows should look natural yet defined. She also does threading for more sensitive skin. Pamela has completed Dermalogica’s Skin Care Expert program. Having suffered from acne as teenager, she is big on educating others to understand their skin itself and not just products. Having worked as a make up artist in Ireland, Pamela specializes in occasion & bridal makeup. She enjoys keeping up to date with current trends in the beauty & makeup world. In her spare time she loves to explore the great outdoors of Edmonton & do yoga. Katie is from London, England and has been in Canada since 2011. She took her training at the European Institute of Esthetics and enjoys taking care of her clients and making them feel their absolute best in every service that she does. She tries to advance her knowledge and techniques whenever she gets the chance with further training in all areas. 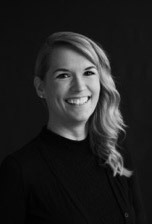 Katie welcomes you to book a laser consultation to answer any of your questions and recommend a treatment plan for you. She looks forward to seeing regular clients and meeting new ones. Kalina graduated from the Alberta Academy of Aesthetics in 2009. She is extremely passionate about her job and takes great joy in making her clients’ spa experience as wonderful as she can and maintaining lasting relationships! Kalina specializes in waxing & customizing brows to each clients’ unique face and she also does manicures, pedicures, facial treatments and laser. When she is not at the spa you’ll find her hanging out with her fiancé and furbabies, sewing or cooking. Makayla recently graduated from the International Academy of Esthetics where she received her diploma in esthetics and her ITEC certification. She is passionate about esthetics and skin care and is always eager to learn and enhance her knowledge and skills. In her spare time she enjoys spending time with friends and family, watching movies, being outdoors, and cuddling with her kitty BB. Amanda graduated her Esthetics course in May 2016 from Eveline Charles Academy. She loves making her clients feel relaxed and pampered. 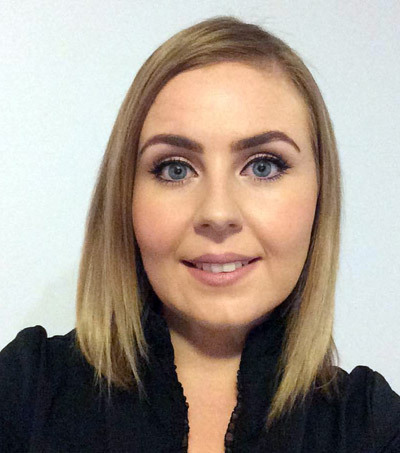 Amanda enjoys working with skin care - not only will you feel relaxed from a facial but you will leave with knowledge about how to prolong your treatment results. Gel polish manicures and pedicures are also on her list of favourite services. In her down time Amanda loves to go to the gym and in the summer months exploring new areas to go kayaking. Sandra gets great satisfaction from being a Registered Massage Therapist. Knowing that she can help people is a great privilege. When she’s not at Urban Retreat she enjoys hiking to the ends of the earth, smacking a golf ball into the woods, reading a good book, and laughing with family and friends. Words that Sandra lives by ... I may grow old, but I won’t grow up. 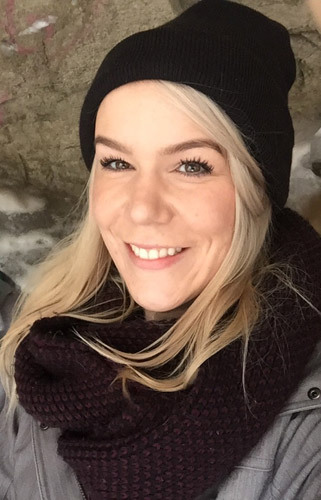 Originally a Saskatchewan girl, Crystal moved to Winnipeg in 2006 to train at The Massage Therapy College of Manitoba and then spent four years at one of Winnipeg’s top luxury spas. 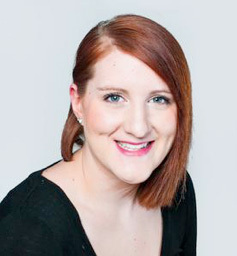 She moved to Edmonton in 2012 to be closer to family and soon after joined the team at Urban Retreat. 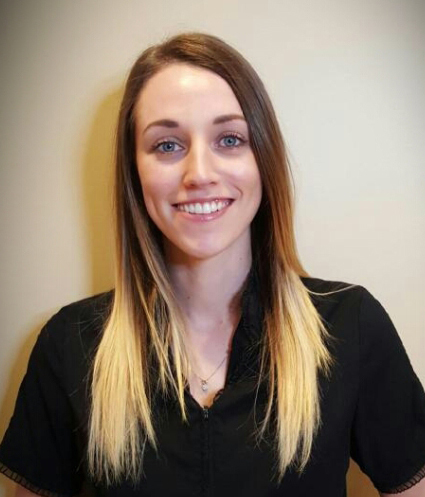 She feels being a Registered Massage Therapist is one of the most rewarding careers, with helping to relieve chronic or acute pain in her clients and seeing them regain ease and trust with their bodies. In her downtime, Crystal enjoys staying up-to-date on recent trends in the pursuit of personal wellness and can be found with either a book or paintbrush in hand. 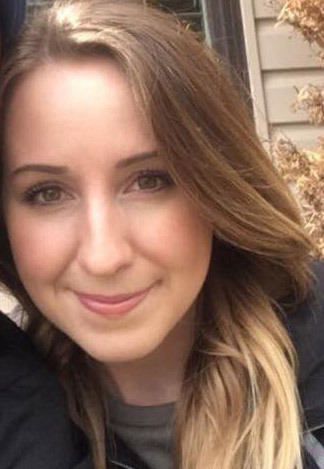 Kaitlin graduated from Grant McEwan University’s Massage Therapy 2200-hour diploma program in 2010. 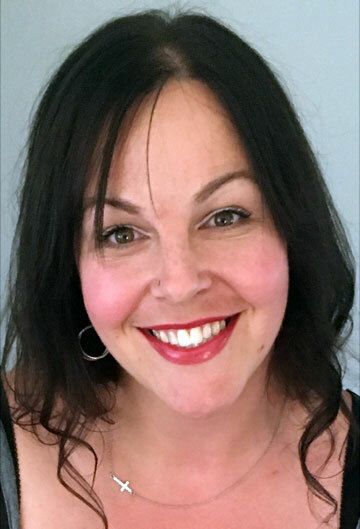 She offers Therapeutic and Relaxation Massage including Pre- and Post-Natal Massage, Sport Massage and Lymphatic Drainage treatments. Since graduating she has worked in spas, multidisciplinary clinics, gyms, and oil and gas camps all around the world. 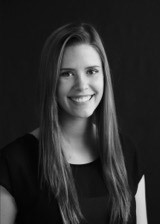 Kaitlin spends her off time practicing yoga, meditating, swimming and enjoys movies, art and theater. Kaitlin’s own journey through pain and sports injuries has shaped the therapist she is today. She continues to study new modalities to evolve as a therapist and is excited to be at Urban Retreat helping her clients meet their health and wellness goals! Connie completed Registered Massage Therapy at Malaki College in 2010. She is passionate about what she does and believes that giving a massage, whether for providing relaxation or to help treat pain, is very rewarding. She looks forward to meeting you! 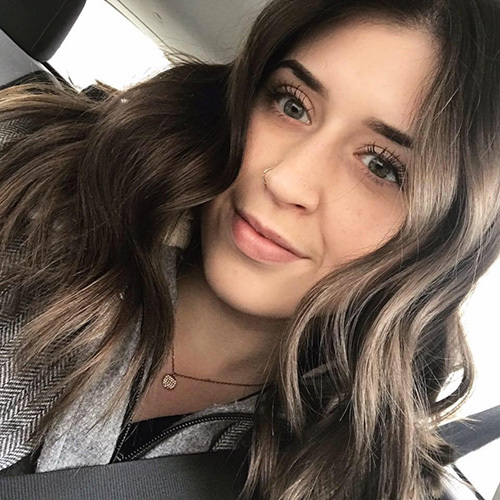 Learning about skin care treatments and being able to try new products are a few of the many things Samantha enjoys about being a part of the Urban Retreat team! As a spa receptionist, she looks forward to building relationships with clients and hearing about their experience. In her spare time she enjoys being outdoors and participating in various activities such as camping, hiking, and kayaking. Theresa’s background is 18 years in Nursing. She brings a professional manner, thorough assessment throughout her procedures, and undivided care and attention to her practice. 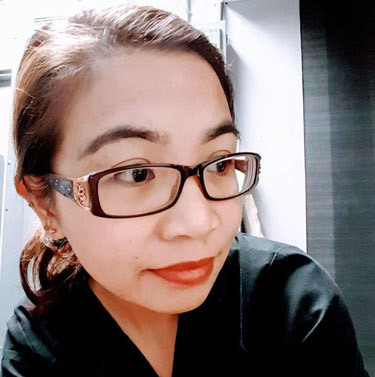 She holds Microblading and Brow Sculpting certifications from The Esthetics Institute in Calgary where she is also currently working on her Permanent make-up certification. She is passionate about creating the perfect brow to suit each individual client. When Theresa is not at Urban Retreat she is working as a nurse, riding her motorcycle and spending time with her family. Theresa is available Monday to Thursday evenings after 5:00 pm and on occasional Saturdays. Call us at 780-481-2414 or book online! If you don’t have a login, call us for your first appointment and we’ll get you set up.